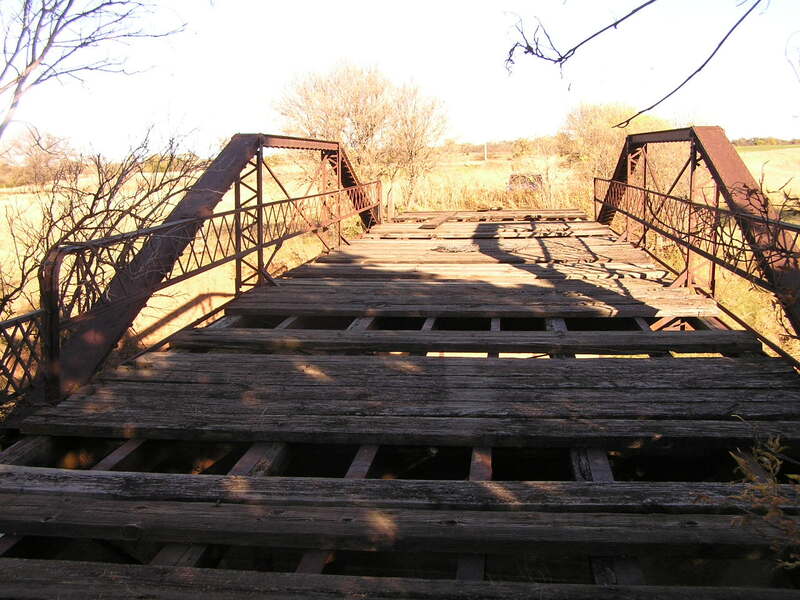 Coldwater Creek Bridge, Garfield Co. 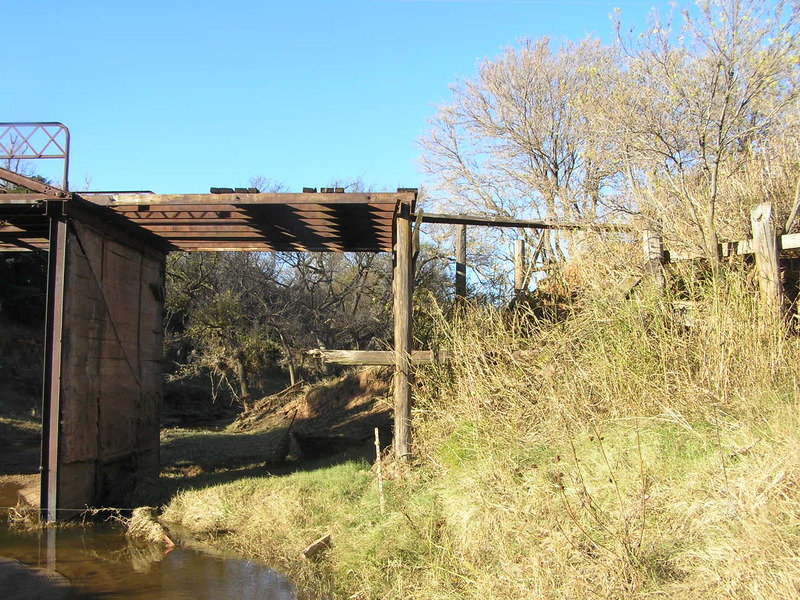 Located west of Hillsdale in the very northwest corner of Garfield County, this Queen post pony span now stands abandoned. Above, looking east. 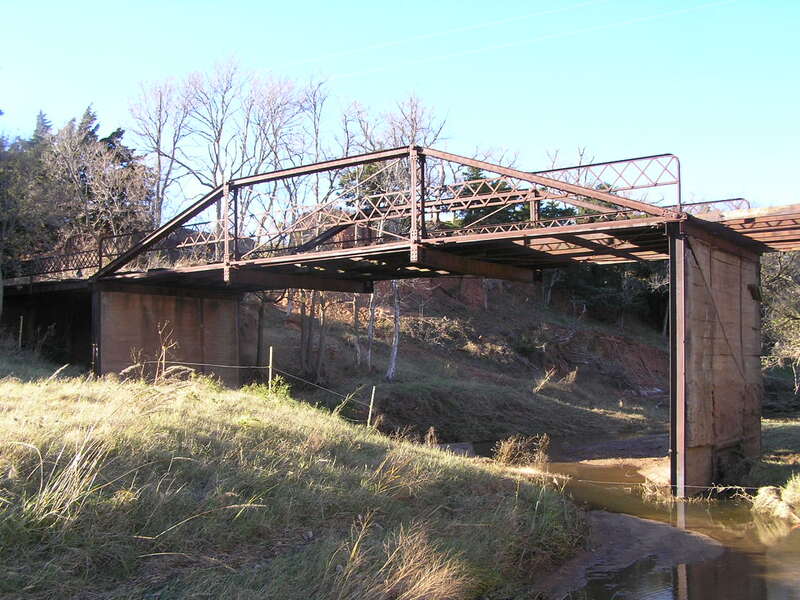 Built in 1906, the truss span is 50-feet long. It is flanked by an approach span at either end, giving a total length of 85 feet. The photo below shows what the author had to walk across to get the above shot. This was not the remains of a fourth span, but the washed out east abutment fill, a possible reason for this bridge's closure. Above, a view looking west. In the foreground is the catwalk over the washed-out abutment fill. 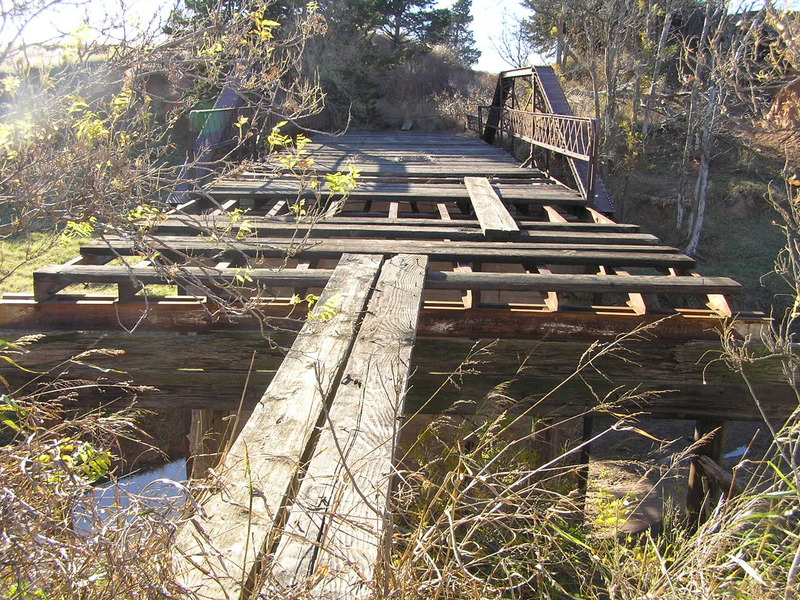 Below, a side view of the pony truss. Note the concrete infill between the steel piles.